Jordan Sclare and Michael Paul are the Nikkei Boys – Britain’s newest celebrity chef duo and chief evangelists in the UK for the Japanese/Peruvian Nikkei cuisine. 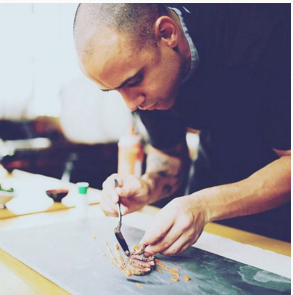 Jordan is Executive Chef for the NZR Restaurant Group, owners of the wildly popular Chotto Matte (Nikkei Cuisine) in London’s Soho district, and Black Roe (Coastal Cuisine) in London’s exclusive Mayfair district. Michael is Head Chef at Chotto Matte. 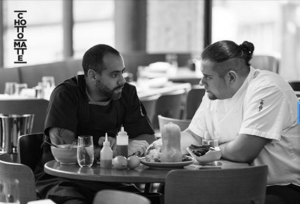 Jordan and Michael have become recognised as top Nikkei chefs in the UK, and are now preparing for an official launch of their brand, The Nikkei Boys. The Boys met at University in London, where they were both studying to become professional chefs. They became inseparable partners in class projects, establishing a lasting friendship. 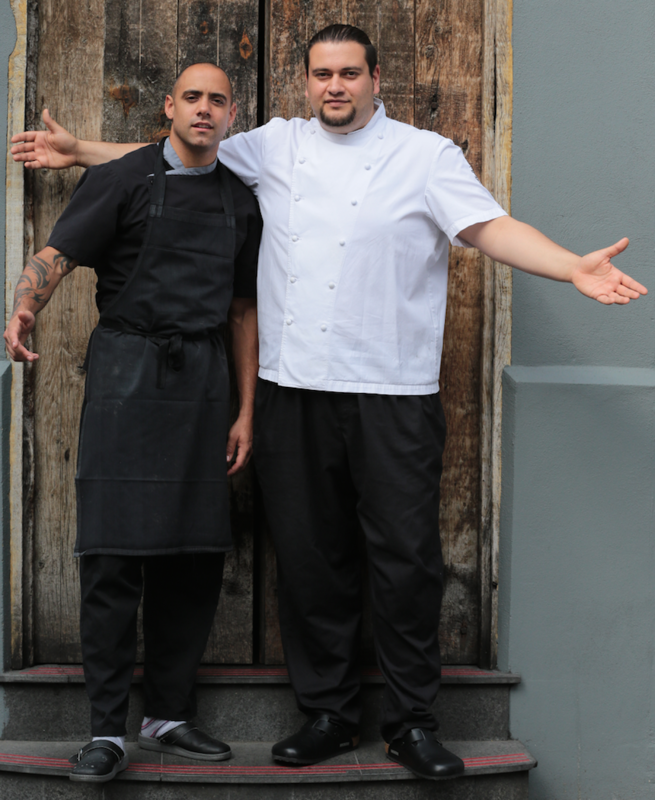 Even though they went their separate ways to serve apprenticeships, they always had an audacious dream to become celebrity chefs in their own right. Between them they served under Gordon Ramsay, Phillip Carrick, and David Cavalier, amongst others. They also worked their way up the ladder at iconic British establishments such as The Savoy Hotel, The Nobu Group, The Budda Bar, Aqua Kyoto, The RAC Club and Charlton House. Their contrasting personalities are partly what make up their ‘secret sauce’ that appeals to so many. Jordan is creative, bold, and a calculating risk-taker. He is at once entertaining but obviously a thorough professional. Everyone wants to learn from him. Michael is famous for his sauces and seasonings. He comes across as the calmer of the two, and maintains an air of peacefulness when Jordan appears to cajole and tantalise him as he fashions one of his masterpieces. Jordan and Michael both believe passionately that the world would be a better place having experienced the captivating flavours of the Nikkei Cuisine – specifically the Nikkei Boys interpretation of traditional Nikkei Cuisine. Nikkei (pronounced ‘nik-ay’) literally means ‘Japanese person born outside of Japan.’ In the late 19th century around 7000 Japanese contract workers moved to Peru. 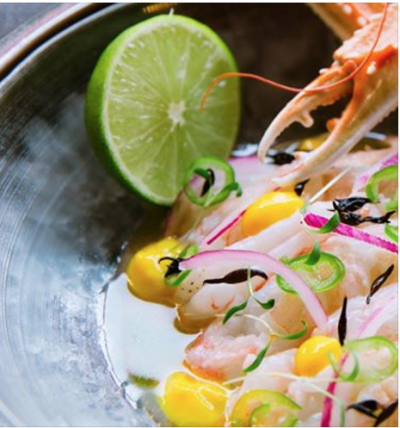 Having no access to traditional Japanese ingredients, they began cooking Peruvian food, but adding their own touches. They would substitute fish for meat, and then progressively began using seasonings and ingredients closer to their hearts, like ginger, seaweed, chili and soy. The Japanese thought they were cooking Peruvian, and the Peruvians thought they were experiencing exotic Japanese dishes. In fact, the Nikkei Cuisine was aborning. Interestingly, it was humble rice that helped cement the marriage of the two, since it was a staple of both. For Nikkei Boys rising, the journey was far from smooth. 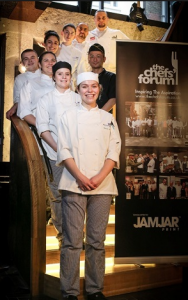 As young chefs they often put in 16 – 18 hour days, but with eager hearts and open minds. Everything they learned about food and food science in University, and in the kitchens of their mentors, laid the foundation for their professionalism. But when they rose to become Head Chefs they struggled to introduce often-disruptive ideas and techniques onto established menus. Japanese restaurants, for example, wouldn’t entertain the Nikkei concept. Because of the long hours and increasing responsibilities, they kept the fire in their desire by keeping in touch regularly on social media chats and streams to discuss ideas and exchange recipes and experiences. It’s been said that ‘luck’ is when preparation meets opportunity. 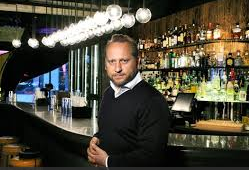 The ‘lucky break’ for Jordan and Michael came when they met Kurt Zdesar – the legendary restaurateur who was the driving force in the Nobu Restaurant Group. 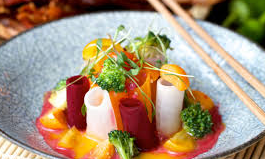 Kurt had been a disciple of the Nikkei Cuisine for over 20 years, and had the inspired vision of creating a signature Nikkei restaurant called Chotto Matte in one of the most vibrant cities on earth – London. Kurt agreed to hire Jordan and Michael to help him create the menu he had designed for Chotto Matte. The dream took its first solid step toward reality. 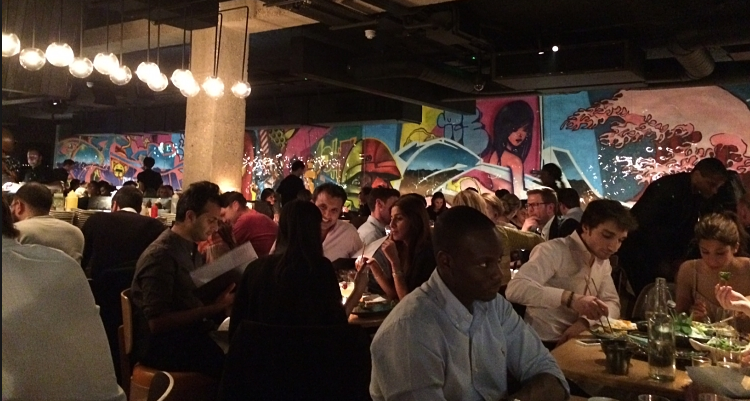 The hard work of designing the Chotto Matte menu began in a secret kitchen high above Leicester Square. The Boys gained inspiration looking down at the bustling London scene, and creating dishes for what was soon to be the boldest Nikkei statement in UK history. They laboured for 6 months to bring Kurt’s long-held vision to reality. The Boys knew they had to translate it into a menu of dishes that would ‘wow’ the public. Kurt would describe what was in his mind’s eye and The Boys would work all week to interpret. He would come to the kitchen every Friday to taste what had been created. For the first week or two nothing seemed to express his vision. Then one fateful Friday, a solitary dish hit the jackpot. They ran with that formula from then onwards, creating the rules that would guide every dish hoping to make it onto the Chotto Matte menu. During the week they would blindfold family, friends, and unsuspecting celebrity fans and lead them up to the secret kitchen so they could taste the dishes being created and offer valuable feedback. Everyone fell in love, and they just knew they were on to something. The dream became a reality in 2014 when Kurt and the Nikkei Boys opened the doors to the first Chotto Matte restaurant in the pulsing heart of London’s multi-cultural and fashionable Soho district. A growing public appetite for the Nikkei cuisine ensures that all 10,000 sq ft are packed to the rafters 7 days a week. 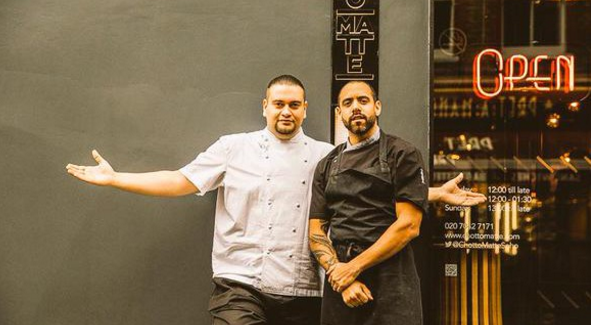 Chotto Matte has put the Nikkei Cuisine firmly on the culinary map in the UK, and is now expanding to Dubai and Miami, a move that is being keenly anticipated in both regions. The Boys count journalists, celebrities, foodies, bloggers, and hipsters amongst their passionate fan base. 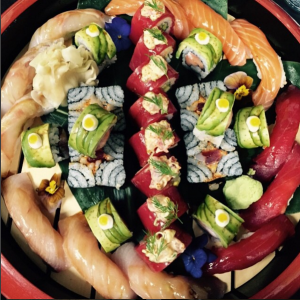 They continue to experiment and develop their own approach to the Nikkei Cuisine, creating dishes that belong uniquely to the Nikkei Boys brand, and can’t be found anywhere else on earth. They’ll just as likely be asked to ‘pop-up’ a kitchen in a trendy London food market, as they will be invited to create their irreverent Nikkei creations in the homes of celebrity fans. Jordan and Michael also had the honour of hosting the first London Chef’s Forum, and continue to work with Kingsway and Westminster Colleges to train young chefs. They still find the time to do Nikkei demos at annual food fairs and on popular television cooking shows. The Boys encourage anyone with a dream to believe 100% in their vision (no less); to keep the passion for it burning brightly within, even in the darkest moments; to work damn hard but enjoy being creative; AND TO HAVE FUN.